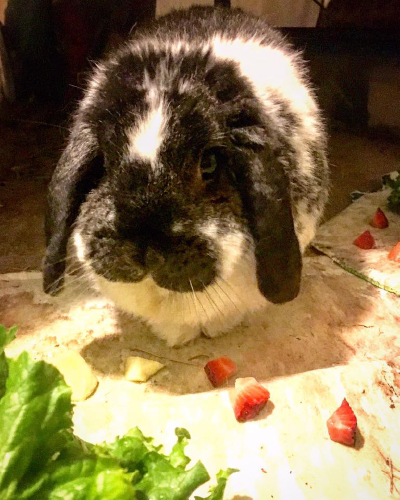 A good rabbit pellet is a complete diet | Make Mine Chocolate! 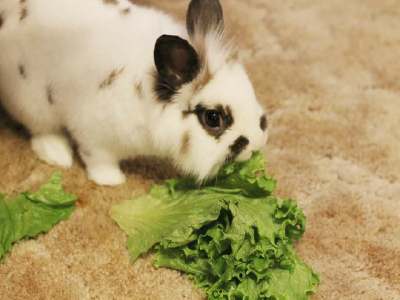 Pellets are actually only one part of a healthy rabbit diet. 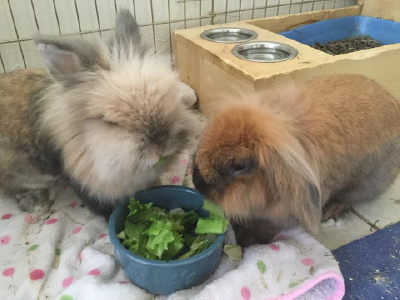 Timothy hay and fresh greens are key to a balanced diet that supports good digestive health. 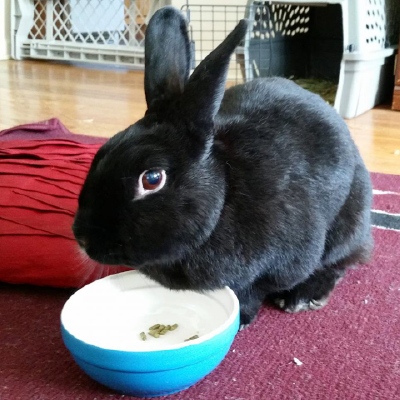 Fresh timothy pellets should comprise no more than 20% of an adult rabbit's diet. 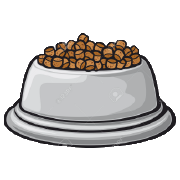 Pellet mixes which contain nuts, seeds and dried fruit should not be fed. 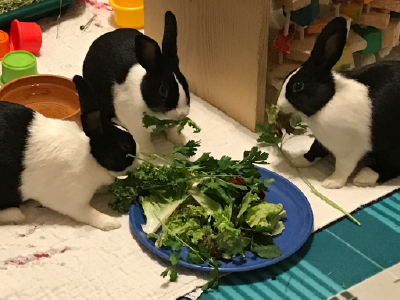 Young rabbits can be fed alfalfa pellets. Fresh, clean timothy hay should comprise 75 to 80% of the daily diet. 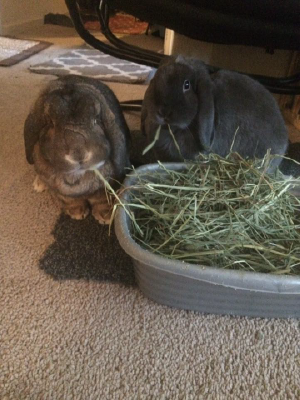 The fiber in the hay is critical to keeping their digestive systems working properly. 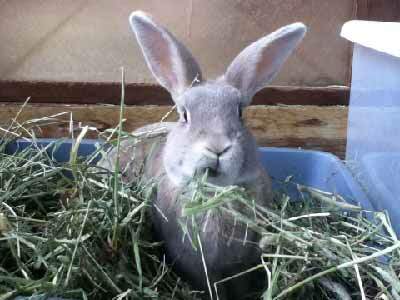 Rabbit teeth grow constantly and hay consumption helps to keep their teeth worn down. 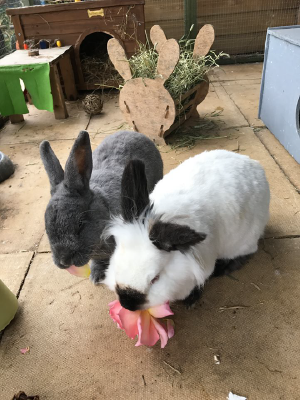 Rabbits can learn to use a litterbox. 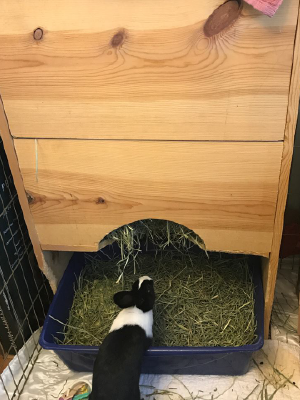 Putting the hay in their litterbox encourages good litterbox habits. Hay can also be offered in a separate hay holder. The remainder of the diet should consist of fresh greens and vegetables. Fresh greens and vegetables should be fed once or twice a day. Examples of safe greens include romaine lettuce, spinach, and assorted greens. Herbs such as parsley, cilantro, and dill are also excellent choices. Safe non-leafy vegetables include broccoli, squash, brussel sprouts, cabbage and carrots. Treats can be given sparingly. Small pieces of fruit (apple, berries, etc.) and vegetables (carrots, broccoli, etc.) are good examples. Don't feed dried fruit that has added sugar. Avoid foods with lots of carbohydrates, such as nuts, seeds, popcorn, bread, and crackers. Never feed meat or dairy products.